A NEGATIVE HELLO? Huh? 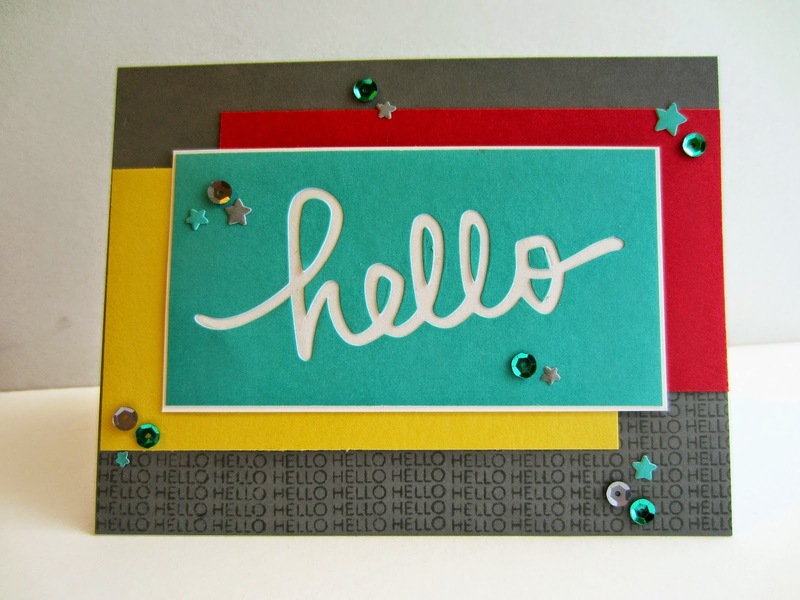 Let me share with you a little story of how HELLO SPRINKLES can be transformed into A NEGATIVE HELLO. 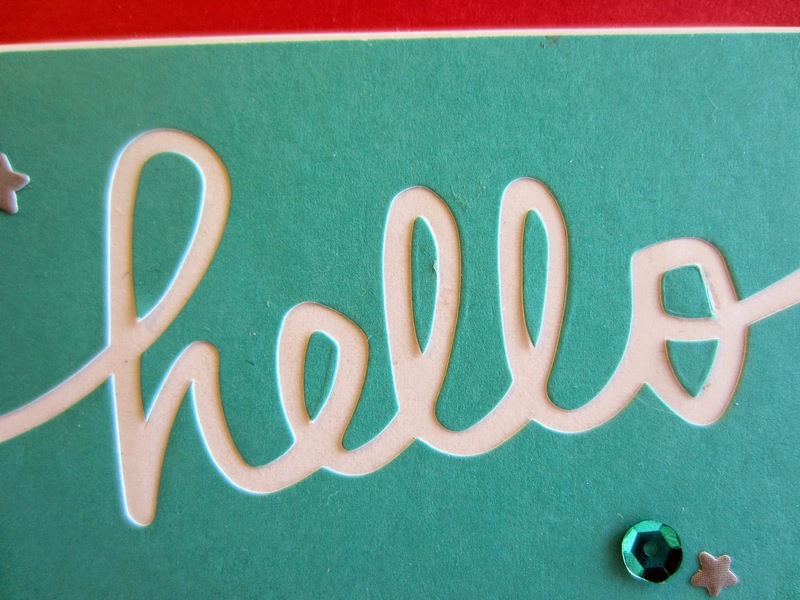 To get the "hello", the word is peeled off of a strip of identical sentiments. The released word has adhesive on the back, so it's easy to put it in its place. Normally, I guess you would throw away the remaining negative space from which the word came. HOWEVER, as I was peeling mine off, I realized that the negative space is just as attractive as the original word, and could be used on another project. Hmmm. This way I could get TWICE the words from the kit! So, as I continued to peel, I carefully saved the inner pieces of the letters. After my word was peeled away, I put the inner pieces back onto the negative base with a dot of Green Glue. 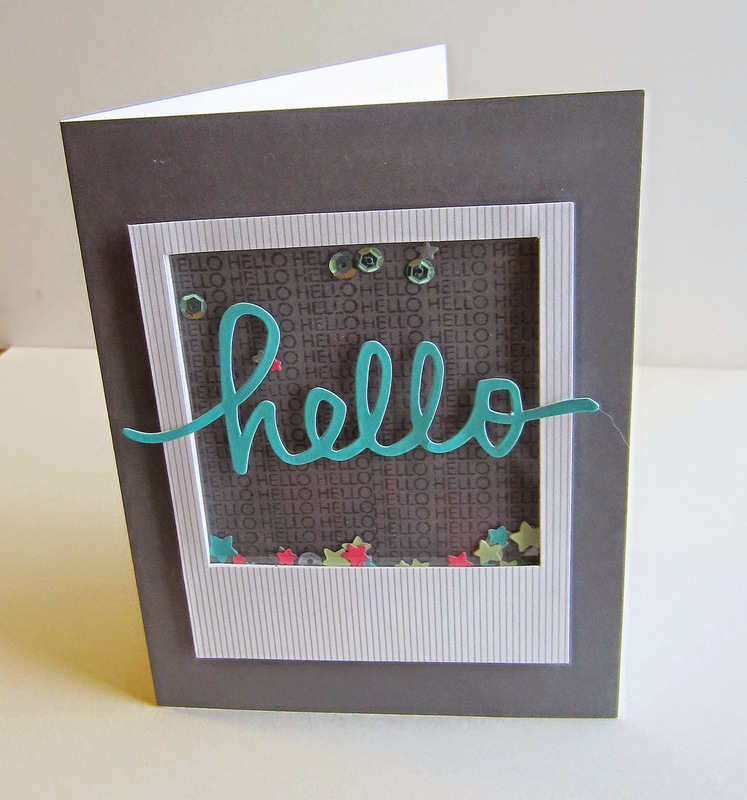 By using several of the other components that came with the kit -- sequins, stars, the hellohellohello stamp in gray on gray and the gray card base, it is easy to see that this card was still a result of this kit. But, with a different feel. Have you worked with your All Shook Up Paper Pumpkin kit yet? Are you following the instructions precisely? Have you deviated from them at all? How? You say you didn't receive the All Shook Up kit? Ahem. Why not? Haven't you subscribed to this monthly dose of fun yet? Get your little self over to MyPaperPumpkin.com and get signed up! And tell them that I sent you! Great color choices, great design! I actually prefer your card over the card intended with the kit! I love how you did this. Thanks for showing us another way to use the bits and pieces from the kit. Great thinking! I like being able to use things up.